Macon Tracks Running Club members get $1 off when pre-registering. Shirts available to all participants while supplies last. Register online through 11:59pm on March 8th. 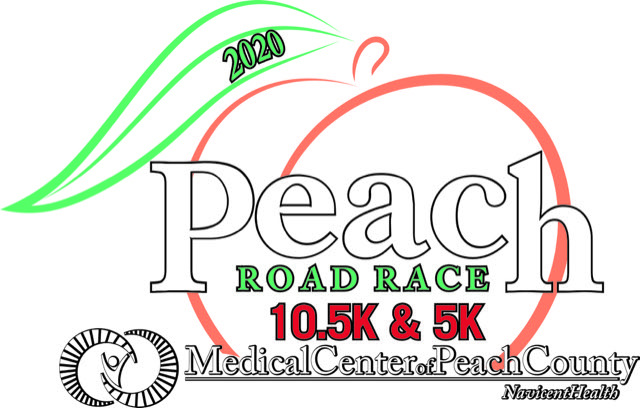 Come join us for the 7th Annual Peach Road Race, a family friendly Peach County tradition at the Medical Center of Peach County, Navicent Health. 5K/10.5K Awards: Trophies for Top 3 Overall (female & male) & 1st Master (male & female); Medallions for Top 3 Finishers per age group (10 & under, 11-14, 15-19, 20-24, 25-29, 30-34, 35-39, 40-44, 45-49, 50-54, 55-59, 60-64, 65-69, 70-74, and 75+). Race packet pick up on race day. No pets, bikes, or roller blades allowed on the race route. Participants pushing strollers must start at the back. The courses will close at 10:30 am. In the event of severe weather, the race will be cancelled and your application fee will be used as a donation to The Medical Center of Peach County. For more information, please Jodie Aldridge at 478-733-3388.